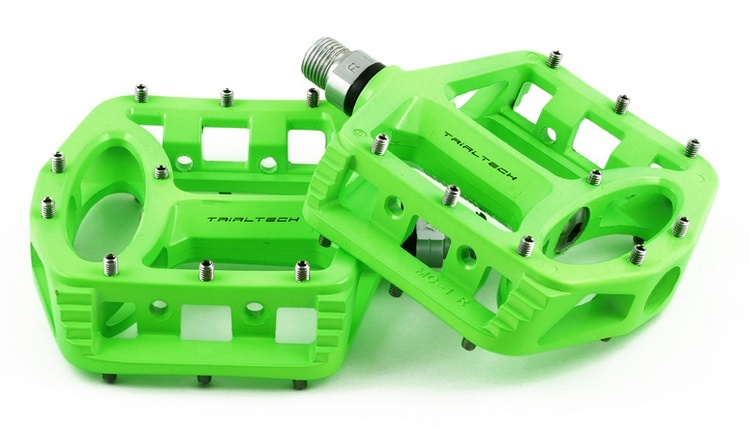 One of the lightest and most popular trials pedals in the World! By combining excellent grip, a large surface area and yet low over all weight (just 362g per pair! 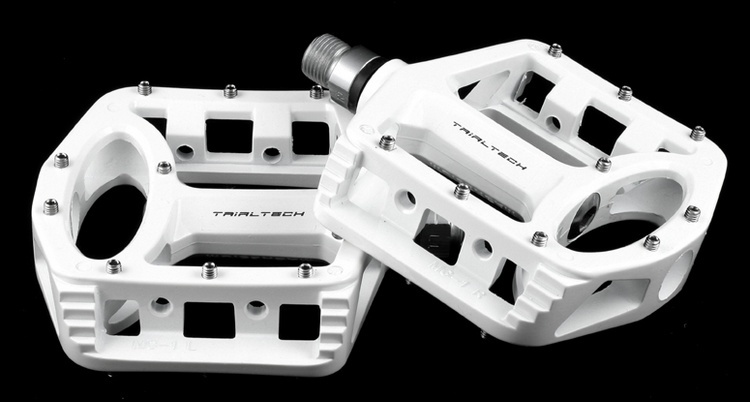 ), the Trialtech Sport Magnesium pedals are a style of pedal used by most of the top riders for both competition and street. Replaceable grub-screw pins offer excellent grip in all conditions, while the slim concave design of the one-piece magnesium alloy body gives good comfort and feel.  The parallelogram profile of the body means that no matter what position the pedal is in then you put your foot on it; it will always rotate to contact your foot with the largest and grippiest part. 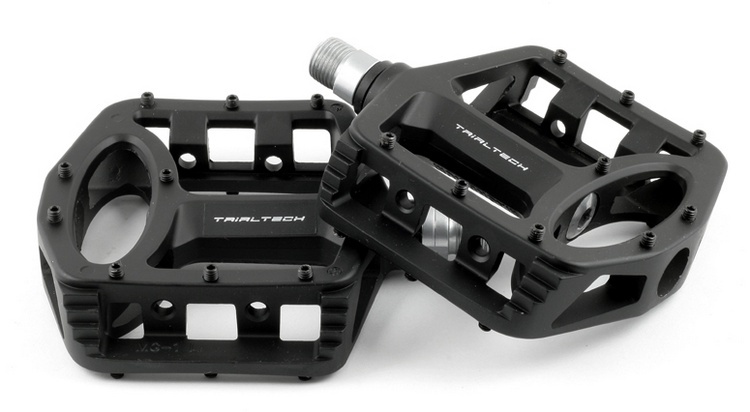 The Sport Magnesium pedals feature a strong axle CNC machined from high quality steel, while fully sealed bearings ensure they stay running smooth in all conditions. Available in powdercoat matt black, gloss white or gloss fluro green, all with a stylish printed Trialtech logo.